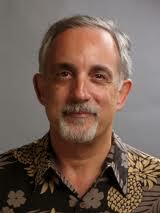 Kapor founded Lotus Development Corporation in 1982 with Jonathan Sachs, who was responsible for technical architecture and implementation, and created Lotus 1-2-3. Kapor served as the President (later Chairman) and Chief Executive Officer of Lotus from 1982 to 1986 and as a Director until 1987. In 1990, with fellow digital rights activists John Perry Barlow and John Gilmore, he co-founded the Electronic Frontier Foundation, and served as its chairman until 1994. Kapor was the Chair of the Mozilla Foundation at its inception in 2003.